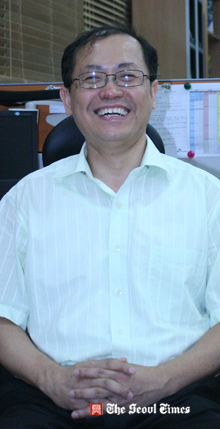 Mr. Simon Hong serves as director of SGBSC (Seoul Global Business Support Center). Date: October 11, 2011. Tuesday, 7:00 to 9:00 p.m.
Seoul Global Business Support Center (SGBSC) will host the business seminar on “Neuro-entrepreneurship: Overcoming the mental barriers to success” on October 11, 2011 at COEX, from 7:00 to 9:00 p.m. together with IE Business School. The seminar will present information to foreign business people on how to improve their entrepreneurial abilities and help them understand their own mental patterns important for entrepreneurship. Understanding entrepreneurial behaviors requires understanding of entrepreneurial thinking at a deeper level through the lens of neuroscience. At the heart of neuro-entrepreneurship research is the study of what makes the brain of entrepreneurs different from non-entrepreneurs when faced with opportunity, risk, challenge, and danger. This field suggests that the decision making processes and attitudes of highly successful entrepreneurs are quite different from most people. In fact, neuro-economics and other neuroscience domains also show us that much more of our behavior is driven by physiological/neurological factors than we really might want to believe, and such mental patterns make us better or worse at the most important skills required for leadership in entrepreneurial ventures. Peter Bryant is a Professor of Entrepreneurship at the IE Business School in Madrid, Spain. Peter graduated BA with Medal from the University of Sydney and earned his PhD in Management from Macquarie University in 2006. He then began his academic career in Sydney, Australia. During the preceding fifteen years, Peter worked as a manager in the airline, banking, consulting and venture capital industries. He also worked at The University of Sydney during 2002-2006, where he managed the commercialization of new technologies through the creation of start-up companies. In his academic career, he researches and teaches in the fields of entrepreneurial management and strategy, and their relationship to the evolution of organizational capabilities.